Everyone knows I love my lists… I can’t live without them… if I don’t have one I feel unorganised. My sister bought me this for Christmas – perfect! 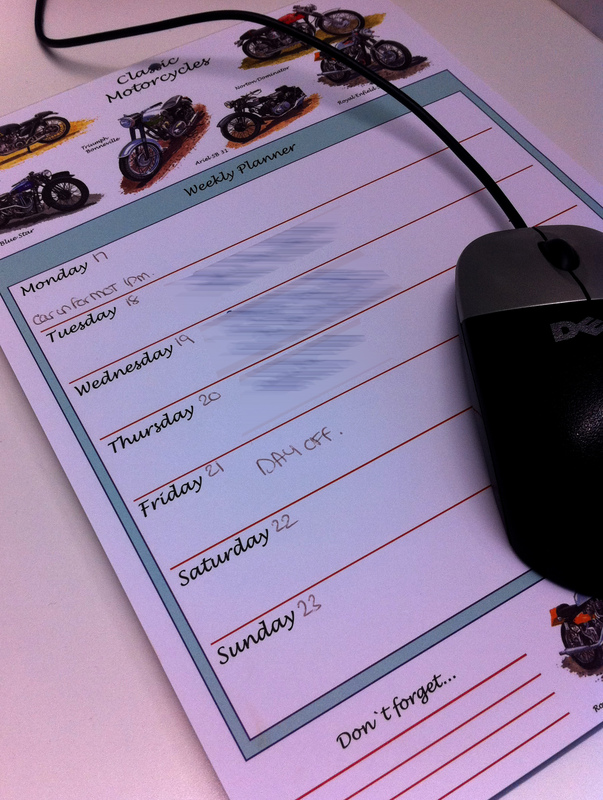 I now use it to organise my week at work, and it doubles up as a mousemat so it doesn’t take up much space on my little desk.